Error 2123 occurs updating the protections or the agent in Endpoint Protection. These problems can be due to previous .msi package installation failures. 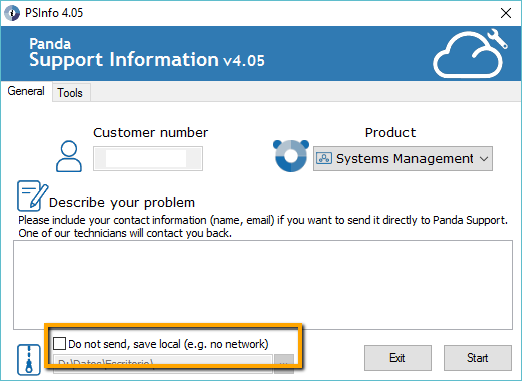 Download and run Panda Support Information file. 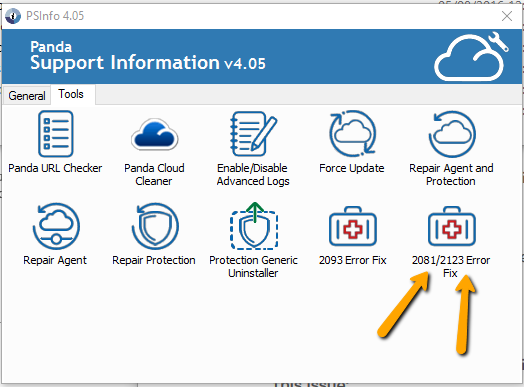 Double-click the 2081/2123 Error Fix tool. Click OK on the next window to launch the trace removal process. Once finished, click OK in the Tool finished work window. Run Panda Information Support again, this time, to collect all the necessary information. Type in Error 2123 NOT SOLVED in the General tab description field and click Start. At the end of the data collection process, the resulting .7z file will be generated and automatically sent to Support, unless you tick the check Do not send, save local. If you do so, then, you need to send the referred file to your local Support contact. Alternatively, you can send the information via console. 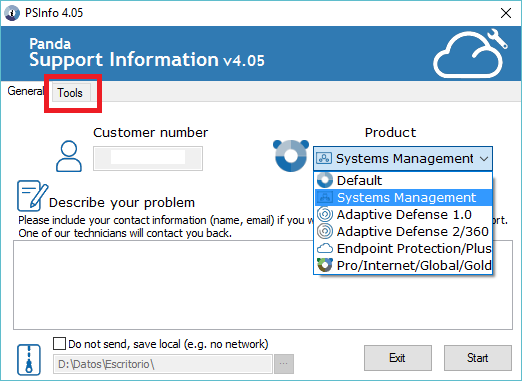 To do so, please refer to article How to report problems from the Endpoint Protection console and follow the instructions.